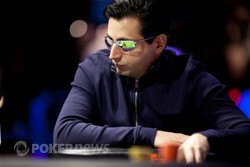 Ali Eslami raised to 175,000 to open the action, and Matt Marafioti three-bet shoved for 260,000 total. Manuel Bevand considered for a good while before folding, and Eslami called all in for 245,000. Marafioti was ahead and had the slightly larger stack, but Eslami had the run-good, it seems. The paired both players, but it paired Eslami the hardest. 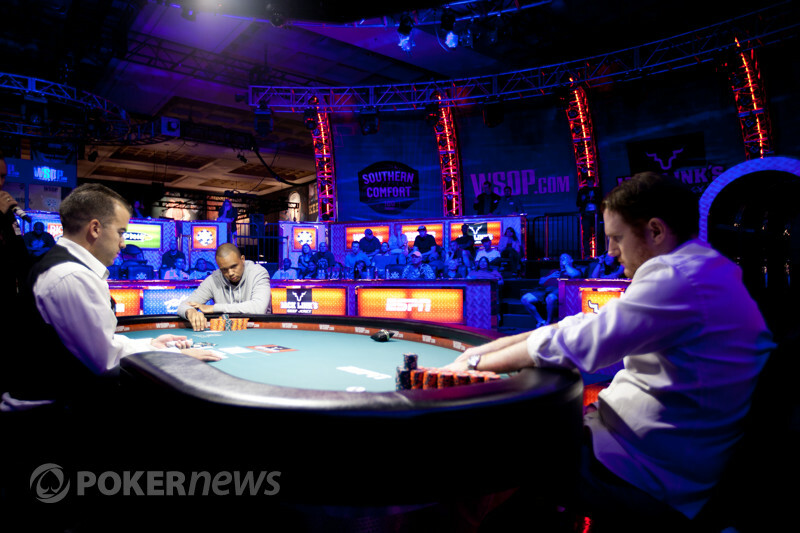 Marafioti could not catch up on the turn or river, and he's been parted with all but 15,000 of his stack. Eslami, on the other hand, is back over a half-million chips as the swings continue to be gut-wrenching at this final table.